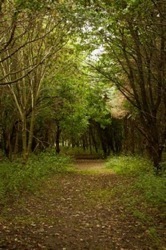 Enjoy camping with a touch of home comfort at New Farm Holidays. 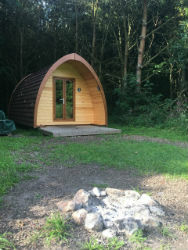 Set in the 30 acres of woodland of Ostler’s Wood in Lincolnshire, we have camping and glamping options to suit all tastes, accommodating both large and small groups. 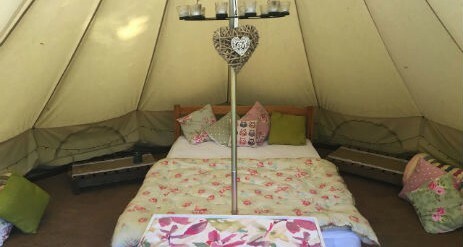 Get back to nature without the hassle of bringing a tent by choosing one of our camping pods, or for more a luxurious break, check out our well-equipped Bell Tent or deluxe pod that comes with its very own wet room. 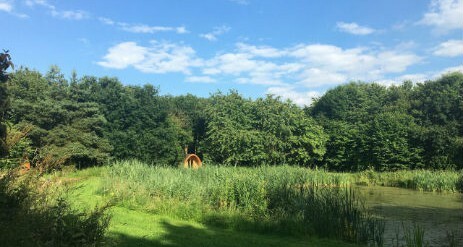 Whichever option you choose, you’ll enjoy the peaceful surroundings of our pond, woodland and open countryside, with plenty of space to walk and explore. 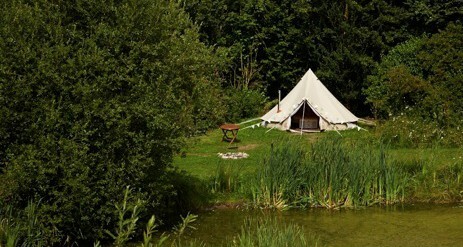 Each pitch has its own campfire so you can relax each evening underneath the stars. 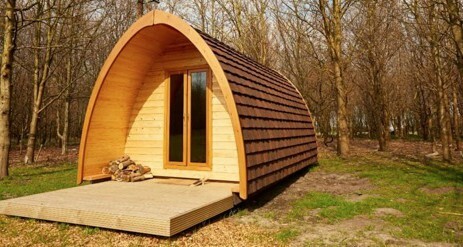 Children especially love these pods, telling us it’s like sleeping in a den! 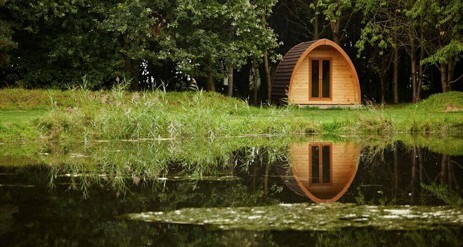 If you prefer your camping with more than a touch of luxury, our brand new deluxe pod is the one for you! Enjoy getting back to nature with the perfect pitch beside the pond, whilst enjoying some of the comforts of home. Save yourself the packing and let us provide your crockery, cutlery, cooking utensils and kettle with our Mighty Oak Package for just £10 per stay. Sleeping Bag, Bedding, Air mattress, Gas Camping Stove and Gas Torches, Lanterns and batteries, Tea Towels, Table/Chairs, Lighter, Matches, Coolbox and Icepacks and Food! 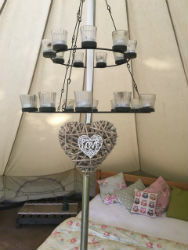 A camp fire is essential to a good camping stay so each camping pod, Bell Tent and tent pitch has an allocated area for a camp fire. 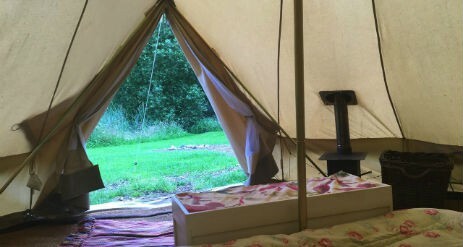 Bring your own logs or order a large bag (which includes kindling and fire lighters) for £5 per net when you book. Depending on your usage a bag will last you one to two nights. 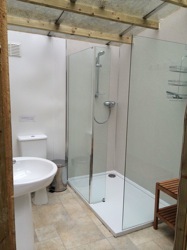 Whilst we have lighting in our pods you can enjoy the starry night sky without light pollution. Don’t forget to pack a torch for those late night trips to the toilet! Each will be accompanied by a jacket potato or plain rice, arrives in a well packed chiller box and can be reheated over your campfire. Portions are generously sized and charged at £8 per person. The potatoes and beef are produced on the Organic farm and the lamb is home reared. We are open from the beginning of March until the end of October. Please speak to us if you are interested in booking a stay outside of this period and we’ll do our best to accommodate you.